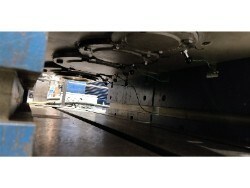 - Applying oversized dowel pins. 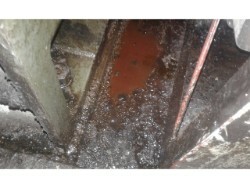 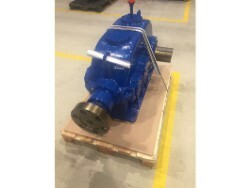 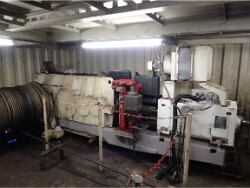 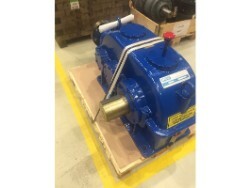 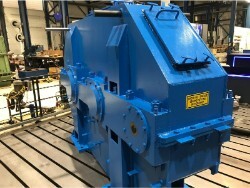 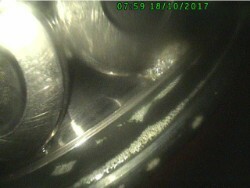 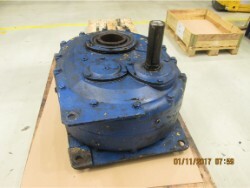 "Gearbox gives great vibration which is easily felt in the floor" "2nd cat hoist has a separate sound, possibly with input shaft or first stage"
- Renewing all bearings and seals. 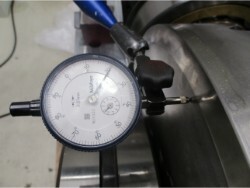 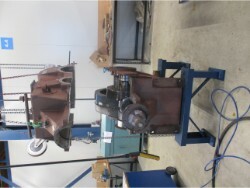 - Mounting and adjusting the gearbox. 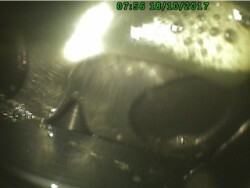 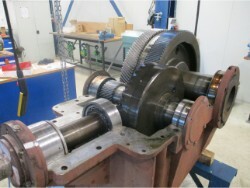 - Test run of the gearbox. 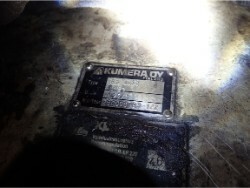 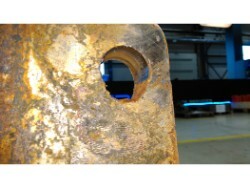 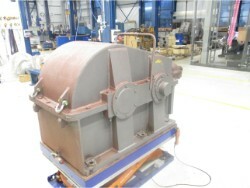 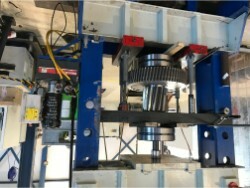 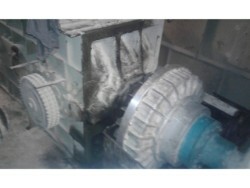 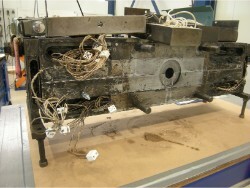 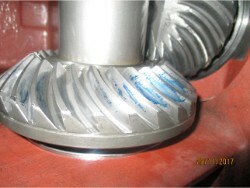 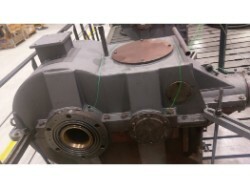 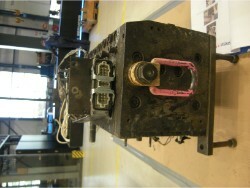 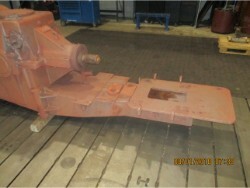 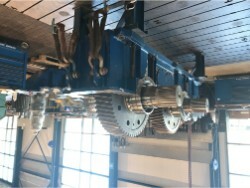 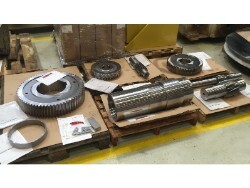 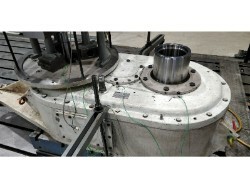 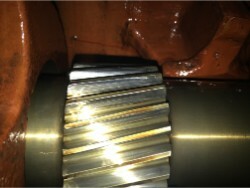 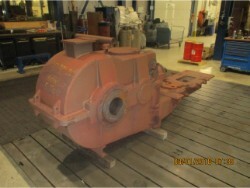 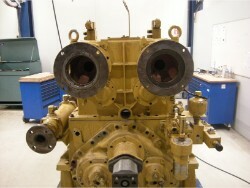 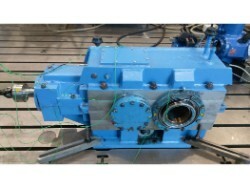 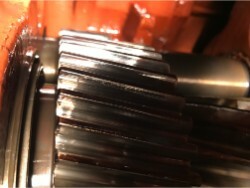 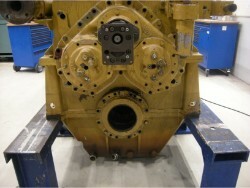 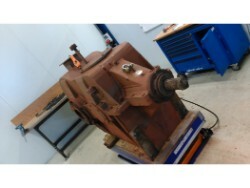 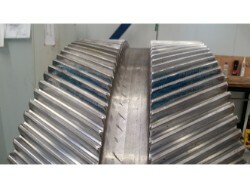 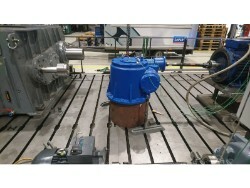 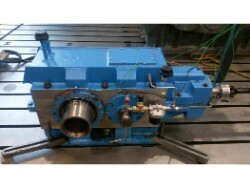 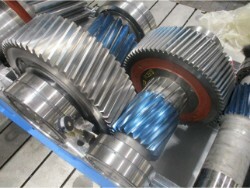 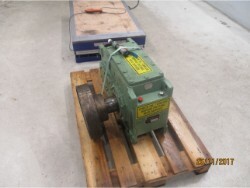 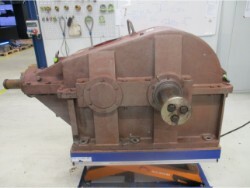 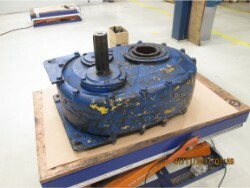 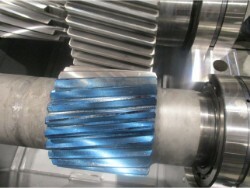 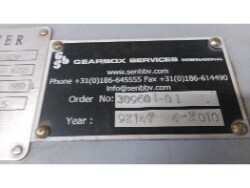 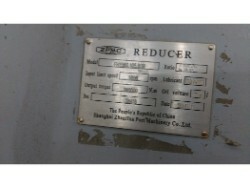 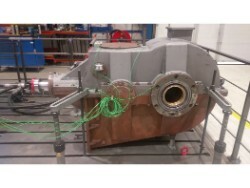 - The internal and external preservation of the gearbox. 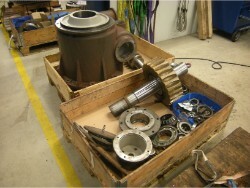 - Transport, delivery of the gearbox. 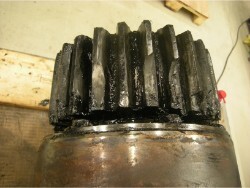 - 2nd stage gear, toothing on both flanks at least regrinding. 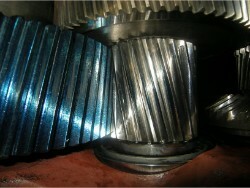 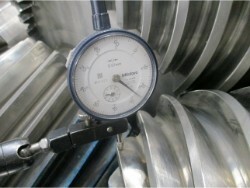 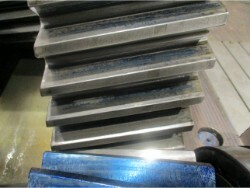 - The renewal of the incoming wear bush, tread hardened / Stelitte. 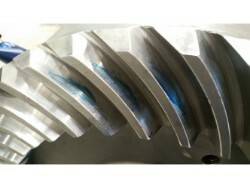 - Renewal of the outgoing wear bush, tread hardened / Stelitte.